Council Tax has risen by maximum amount of 1.99% in 2015/16 and there are further planned increases for the next 3 years, why are we paying more for less? Tactical Response Vehicles replacing fully equipped Fire Engines and Mixed Crewing of whole and part-time staff will increase response times and increase the risk to the public. Full-time Fire-fighter posts are already down 10% since 2010 with a further 10% reduction if these cuts are voted through. How do you justify this when you have a massive shortfall of part-time fire-fighters which means regularly some fire engines are NOT available. 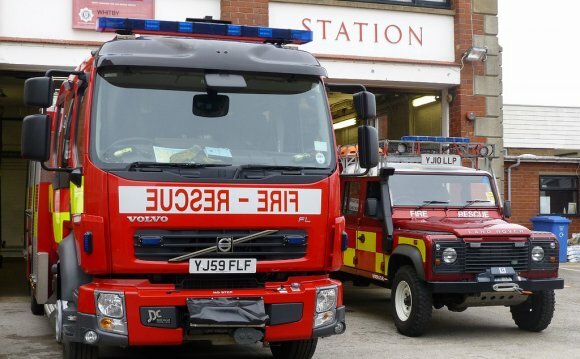 The geographical layout of North Yorkshire with its 3, 340 square miles, population of 1.2 million and large network of main and country roads make it difficult to protect now when North Yorkshire Fire & Rescue Service average between 8 and 13 fire engines unavailable daily. Further reductions will only add more pressure on a service already over-stretched and short staffed. These changes are supposed to be about the risk and the level of response, yet the severity of an incident in 2004 is no different to one in 2015. Some calls may have reduced due to the amount of Community Fire Safety work carried out daily by fire-fighters, yet premise fires and road traffic collisions have not reduced and the size of our communities and number of businesses have increased. 5 fire deaths this year already in North Yorkshire highlight the dangers still faced by the public and the fact that the risk is still just as great.